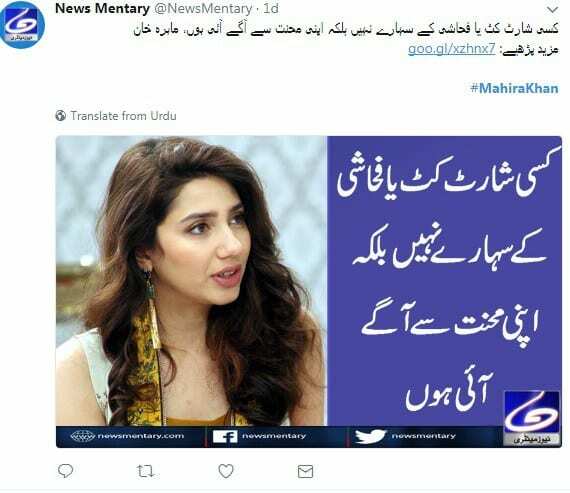 Mahira Khan Slams Shut Fake News Regarding Her! If someone said Mahira Khan is the queen of Pakistani Entertainment Industry, I wouldn’t disagree with them because she has reached that stage. Everyone knows who she is, respects her work and accepts that she is a real gem of Showbiz. Any news surrounding the Humsafar actress spreads like wildfire in a forest and manages to become the talk on town within minutes. However, it is not necessary that all the news you hear about her or any other showbiz personality is true. A recent case of a fabricated news was spotted on the internet involving her and Pakistan’s older actresses. So apparently the local news channel Dunya news wrote about (or maybe started?) the news too and was quickly pointed out of the baseless news by the actress herself.